After a long day at work and battling rush hour traffic, there’s nothing more miserable than coming home to a freezing home, especially when you have a heating system installed. This is typically the most common issue. Clean these and you’ll have heat in no time. We always emphasize the importance of keeping your air filters clean not only for proper air flow but for the best air quality as well. This can be a common issue, too. Make sure your vents are completely open and without furniture and rugs blocking them so heat can properly circulate. These gaps cause heat to escape. If gaps are larger than a width of a nickel, you’ll need to use caulk to seal them. If you don’t have insulation, or are looking to add more insulation, it should be at a 12” minimum. Insulation is also great to avoid mold, pests, and even fires. Yes, this sounds silly, but you’d be surprised how often your refrigerator isn’t completely closed. A slightly opened refrigerator can have quite the effect on the temperature of your home, so check this regularly. Believe it or not, your fireplace can cause your home to become cooler. This is because your chimney exhausts as much heated air as a 48-inch opened window can. Due to this, the heated air is replaced with lots of cool air and is distributed among other places within your home. A SMART technician can make sure everything from your heat exchange to the blower belt of your furnace are in top-notch shape to keep you warm all fall and winter long. Stop freezing in your home and schedule an appointment with us today. With Chicago getting its first wave of fall-like weather this week, it’s time to prepare your HVAC units for the coziest time of year. Be sure you know the condition of your air filters to determine whether they need to be cleaned or fully replaced. And the cleaner you keep your air filters, the lower your energy costs will be. Monthly cleanings are ideal as dust and debris tend to build up during cooler months. Just as your air filters can collect dust and debris, so can your airways. To get the most out of your heat, clear these on a regular basis. Another way to get the most out of your heating system – lean in and listen for any escaping air from your air ducts. Take it even further by getting a pressure test performed by a professional, and you can be certain your ducts are in the best shape for the fall. Get Your HVAC Units Fall Ready. No need for surprises when the time comes to heat up your home. Test out the heat before it becomes cold at least once. A temperature of 79 degrees or above will ensure that your thermostat is working properly. Be sure that the essential parts that help your HVAC run, like electrical connections, burner, belts, and exchangers, are working correctly. Without doing so, you can put your home at risk for an electrical fire. The most important tip of all! We recommend that you schedule an appointment before any extreme weather changes. With a five-year apprenticeship program, our SMART technicians are equipped with the best knowledge and skillset to take care of any of your HVAC needs. Be smart – schedule your fall maintenance check with us today. 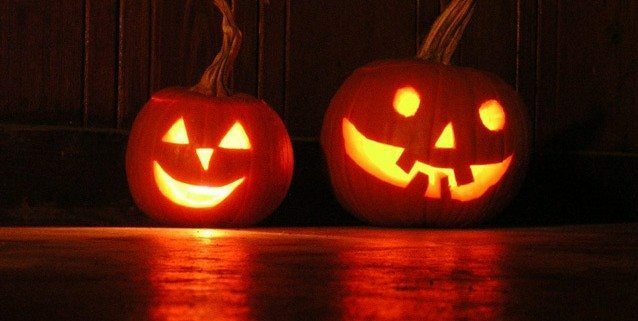 Don’t let your home become a scary place when your furnace starts acting up on Halloween! Trying to deal with a broken furnace is no treat during the middle of winter, which is precisely why you should have your unit checked out by an I Want Smart Contractor now, before colder weather arrives! It’s important for homeowners to remember to schedule an appointment with a SMART Contractor to come out and perform preventive maintenance on your furnace and air conditioning unit before extreme weather arrives each summer and each winter. Your system will last longer before it needs to be replaced, which saves you money. The better your HVAC system is taken care of, the longer it will last and the better it will perform. It won’t have to work as hard or as often to warm or cool your home, and you also won’t need to replace it as often. Autumn is a great time to schedule this maintenance and also to purchase a new air conditioner or furnace, if need be. Keep in mind that during the fall, I Want Smart Contractors offer special promotions, rebates and discounts not only on new HVAC components, but also on services, including regular preventive maintenance tune-ups. You’ll want to take advantage of the opportunity to save money while you ensure your unit is in good working order. This is especially true if you are following your maintenance agreement that applies to your specific unit. Don’t wait for a scary furnace breakdown this Halloween to call an I Want Smart Contractor for all of your HVAC maintenance needs! We’re happy to provide services throughout Northeastern Illinois and it’s surrounding areas. Find your local I Want Smart Contractor here, and schedule a convenient appointment today! Your home heating system is designed to provide you with worry-free performance for many decades. While your heating system may not need frequent heating repair services, routine central heating maintenance will help your system operate at peak efficiency. By keeping up on your home’s heating repairs, you can prevent a heating emergency down the road. An I Want Smart Contractor can help you keep your heating in great shape throughout the seasons. To assist you with your heating repair needs, here is a look at some essential maintenance tips for your heating system. Your thermostat is one of the most vital parts of your home heating system. To keep your heating system in great shape, it is a good idea to check your thermostat on an annual basis. When you check your thermostat, make sure that it is set to a comfortable temperature. By setting your programmable thermostat, you can also help to cut back on your heating bills. Your heating system is equipped with filters that are designed to remove allergens, dust, and debris from your indoor air. When your heating system is operating on a daily basis, your filters can become quickly clogged. To maintain your heating system, it is a great idea to change your filters on a monthly basis. With fresh filters, your home heater will be able to operate at maximum efficiency throughout the coldest months of the year. An I Want Smart Contractor will be able to perform all of the most important maintenance procedures for your heating system. In general, it is a good idea to set up a maintenance appointment on an annual basis. During your annual service, your Smart technician will inspect your heating system for any signs of damage. With preventative maintenance, you can help your system last for many years to come. Take advantage of our Smart Rebates and SAVE even more!